I first came across N. P. de Koo while researching my own Dutch Modern (Chronicle, now out of print). 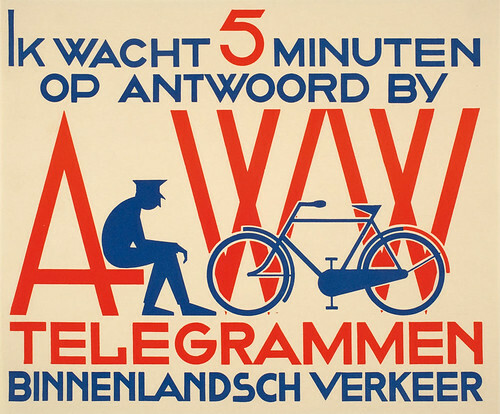 Koo, one of the most prodigious and inventive designers in Holland between the wars, did a fair amount of work for the Dutch postal and telegraph agency, including stamps, logos and typographically stunning brochures, as well as a streamlined red postbox and a series of coordinated enamel signs that are simple yet eye-catching. 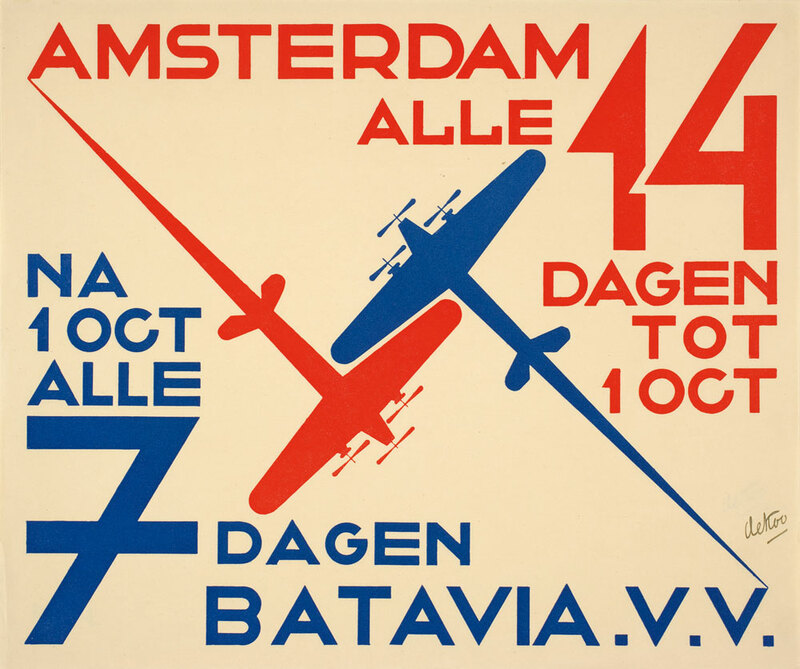 Although well known in his native country, abroad he was eclipsed by Modernists such as Piet Zwart and Paul Schuitema, though the futuristic quality of his work – a veritable emblem for graphic modernity – should have given him much greater international notice as a ‘form-giver’, and until now I had not been able to find much written about him. Peter van Dam’s book on de Koo partly makes up for this lack, though at present the book is available only in Dutch. 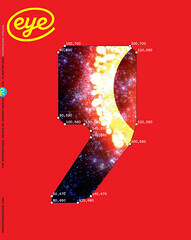 The value of this volume, however, is in the wealth of the visual material that covers Koo’s career from the Dutch variant of art nouveau to his Modernist sensibility, including virtuosic advertisements, packages and labels for Phoenix beer: masterpieces of form and style, cut with wit. Anyone who has ever stumbled upon an unknown oeuvre at a flea market, library, or archive, will appreciate the excitement I felt on discovering this book. Koo is a lost master who, thanks to author and historian Peter van Dam has now been (re) found.